In 1981 the Winnipeg Chapter of Northern Wind Kung Fu was started on the outskirts of China Town at 87 King Street 3rd floor. This represents 30 plus years of sharing Traditional Chinese Martial Arts with the local community. Known at the time as the “Bok Foon Kwoon”, this group was very active in the community, providing demonstrations and Lion Dancing for various cultural events. Further to this, the group was extremely visible at local and regional tournaments, representing Traditional Kung Fu, and gaining recognition for their forms competitors and fighters. The Plum Blossom Martial Srts School is proud to be the official Canadian representative of the Plum Blossom International Federation. We adhere to traditional teachings of the International Plum Blossom Federation, and it's founding president, Grandmaster Doc Fai Wong. Our School's Director, Grandmaster Wong, who was inducted into the Martial Arts Hall of Fame in 2003, and named Inside Kung Fu Magazines - Instructor of the Year 2007, is a world recognized leading authority of the arts of Choy Li Fut Kung Fu and Yang style Tai Chi. Choy Li Fut is one of the most complete and effective styles for health and self-defense. Our style emphasizes relaxed, internal power rather than stiff, muscular force. This is not only more effective, giving the smaller person an advantage, but is also better for the practitioner’s health. Choy Li Fut techniques are circular, powerful, and as beautiful to watch as they are effective in combat. Done at full speed, Choy Li Fut provides an excellent cardiovascular workout. Unlike many other martial arts, Choy Li Fut contains a wide variety of techniques, including long and short range punches, devastating kicks, deadly sweeps and takedowns, lethal pressure point attacks, joint locks, and grappling. Truly a well-rounded Kung Fu system. It is the study of a lifetime. Grandmaster Doc-Fai Wong has been teaching martial arts in the San Francisco Bay Area since 1968 and is the president of the Plum Blossom International Federation of Choy Li Fut and Tai Chi Chuan. He is a second-generation disciple of Yang Cheng-Fu , having studied under Hu Yuen-Chou, a closed-door disciple of Yang Cheng-Fu. Yang Cheng-Fu was the grandson of the founder of the Yang-style Tai Chi Chuan. Hu Yuen-Chou ranked Doc-Fai Wong to be the Grandmaster of his federation before his retirement in 1987. In Choy Li Fut, Doc-Fai Wong is a Fifth-Generation Grandmaster, making him one of the highest ranking Choy Li Fut masters in the world. In 1987 he became the inheritor of the Kong Chow branch of Choy Li Fut and has attained Grandmaster status in other branches as well. In 1991 he was awarded the Kung Fu Artist of the Year by Black Belt magazine. He has also been featured on the covers of martial arts magazines more than 20 times, and has written over 200 articles produced several books and videos. He has been a monthly columnist for Inside Kung Fu since 1986. Featured in Who’s Who in California, Doc-Fai Wong is a recognized leader in American martial arts. Doc-Fai Wong was selected as one of the Top 50 most influential martial arts personalities in the world by Inside Kung Fu magazine in 1986. In addition to martial arts, Doc-Fai Wong also practices Traditional Chinese medicine, and in 1977 became a California state certified acupuncturist. He has been a Tai Chi Chuan instructor at San Francisco City College since 1974, and holds a doctorate degree in Allied Health Sciences. 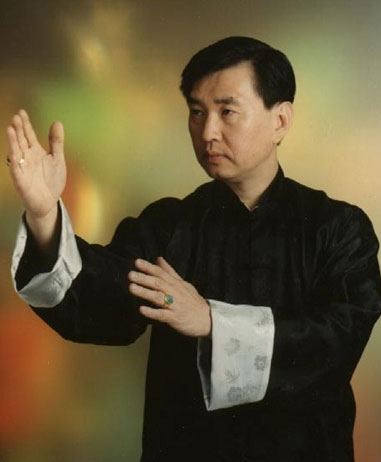 Doc-Fai Wong is also a high level Chi Kung practitioner, being a longtime disciple of Professor Peng-Si Yu and Min Ou-Yang, two of China’s greatest Chi Kung and Yi Quan teachers. Recently, Grandmaster was honoured as “INSTRUCTOR OF THE YEAR 2007″, by the prestigious magazine INSIDE KUNG FU.